These famous lines, which open “A Tale of Two Cities,” hint at the novel’s central tension between love and hatred. Indeed, the subject of opposite “pairs” is one of the major themes of Charles Dickens’ novel. I’m reminded of both the similarities and differences between the wild horses of Sable Island off the coast of Nova Scotia and those of western Canada. How unequally treated they are in the eyes of the government! 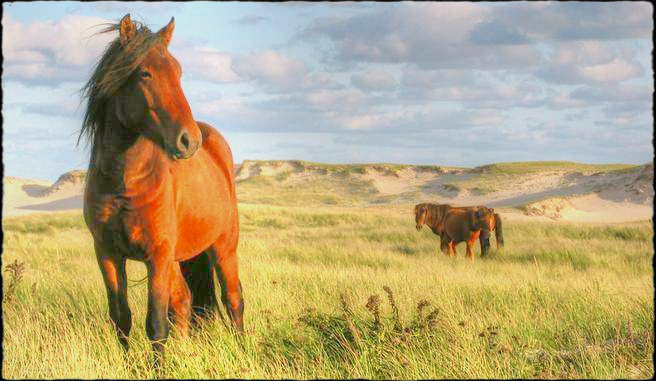 On the one hand, the Sable Island horses are romanticized as being the descendants of shipwrecked horses, while the wild horses residing in Alberta and British Columbia however, not treated with such sentimentality. They are considered to be feral, inbred, and worthless, while spreading parasites and disease to other ungulates in the area. 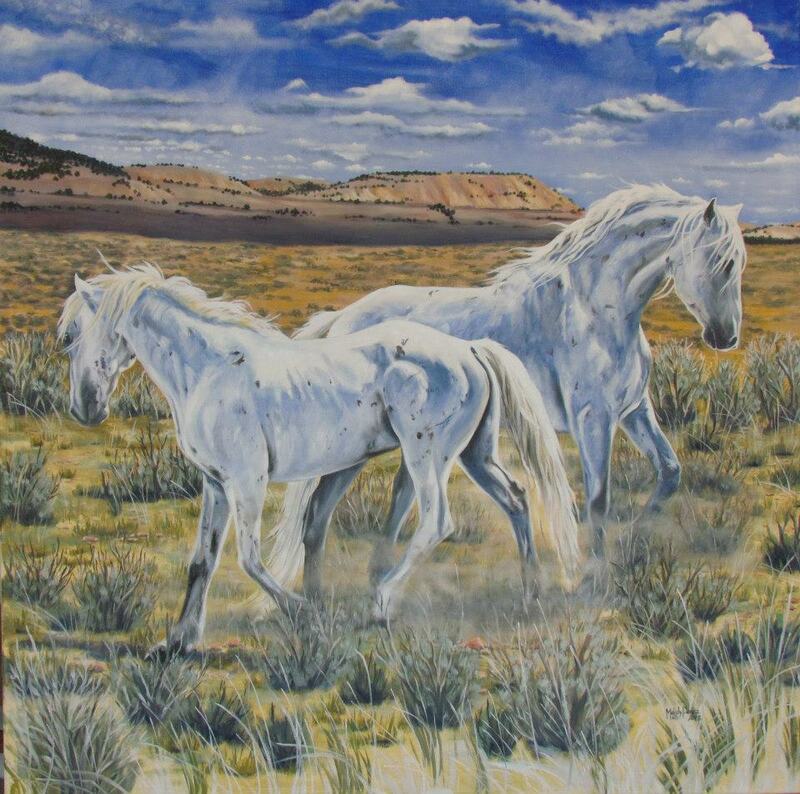 Both groups of present-day horses, however, are descendants of animals brought to these areas in the 1700s. When horses galloped across what would become the US border onto Alberta’s prairies, it was a bit of an overdue homecoming, having been perhaps 10,000 years since the province’s grasslands shuddered under equine hooves. Despite geography, all these horses share a common ancestry, as fossils indicate that North America is the original home of the horse where it first appeared millions of years ago. Yet both groups of horses are viewed in decidedly different fashions, primarily because up to this point, unlike Alberta, there have been no resources of interest that can be easily extracted from Sable Island. The 42 km long, 1 km wide crescent-shaped island, really a large sandbar, is a remnant of the Wisconsin glacial deposit made between 10,000 and 45,000 years ago. The present population of 350-400 horses are the ancestors of horses used in a government operation established to assist ship-wrecked seafarers. The island, located about 290 km off the coast of Nova Scotia, Canada, became Canada’s 43rd National Park in June 2013 – the first national park in the middle of a petroleum field. Perhaps because of this, the Bill to designate Sable Island a national park reserve was very nearly derailed in the House of Commons. The possible pedigrees of these horses, who generally fall between 13 – 15 hh and range in colour from chestnuts to bays and blacks, with some horses bearing light coloured manes and tales, is unknown, but could consist of a number of breeds popular at the time, including ponies and drafts. Unlike the Alberta and BC wildies who are exposed to interference by people – fertility control, culling, round-ups, etc. 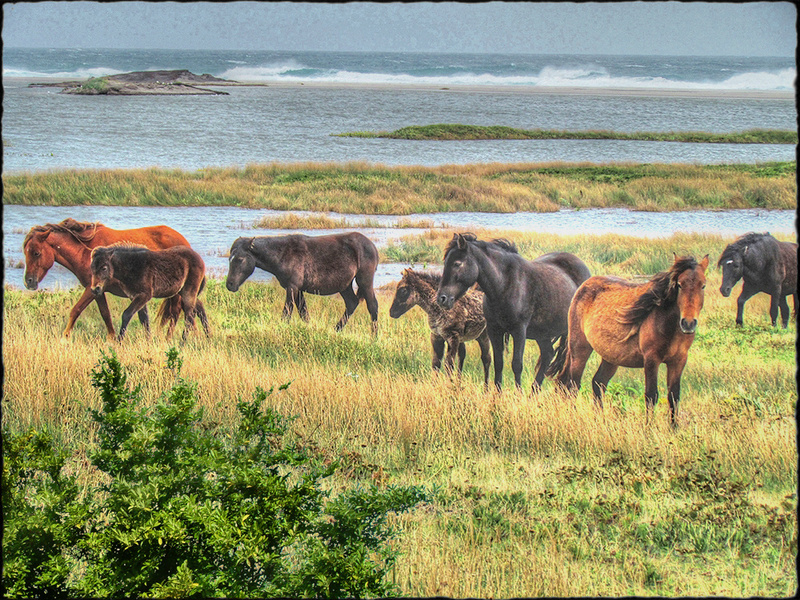 the Sable Island horses are among the few wild horse populations that are entirely unmanaged. It’s important to note that the Sable Island horses themselves are not directly protected, but rather the island itself is, historically under the “Canada Shipping Act,” not surprisingly, since the island is a hazard to marine vessels and the area nearby is a graveyard to about 350 ships and thousands of sailors. This protection is tenuous and exists only as long as the Canadian Coast Guard operates a station there. Since 1801, when the life-saving stations were established, there has been a continuous government presence on the island. 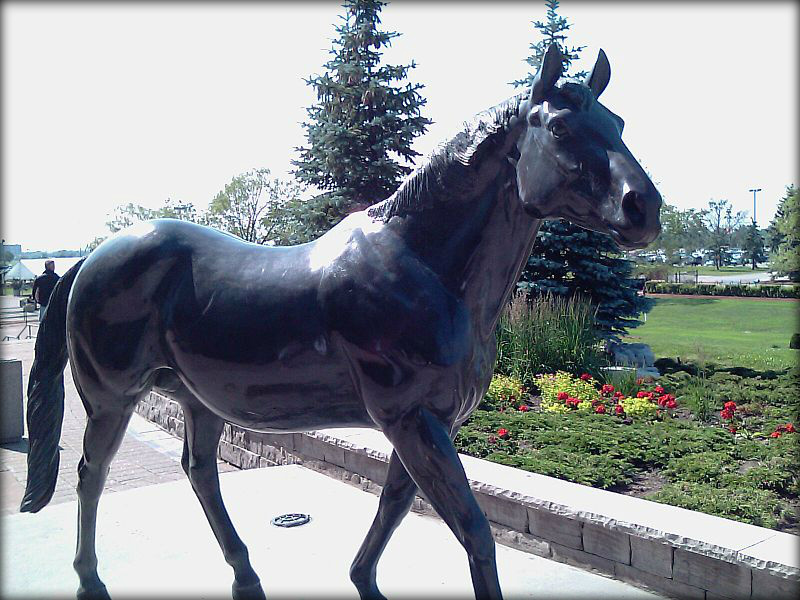 In 2008, the Nova Scotia government designated the horses one of the official provincial symbols and they are also the official horse of Nova Scotia. The horses have the same status as other wildlife on the island, such as grey seals, roseate terns and the Ipswich savannah sparrow – undisturbed except where research permits are provided by Parks Canada. Biological samples are only taken from animals that have died of natural causes. Based on meticulous records of which horses have gone missing and how many carcasses have been found, it’s estimated that remains have been found for the majority of the horses that have been on the island for about the past 30 years. Up to this point there have been no resources of interest to extract from the island itself, although that could change in the future. Because of the reserve status, there is a legal ban on surface drilling on the island, out to one nautical mile. The designation as a national park reserve still allows for horizontal drilling underneath the island and low-level seismic testing on top of the island. The Sable Offshore Energy Project produces between 400 and 500 million cubic feet (14,000,000 m3) of natural gas and 20,000 barrels (3,200 m3) of natural gas liquids every day. But the government estimates there is $2.4 billion worth of natural gas and oil directly underneath Sable Island. However, it is too expensive to extract those resources with current technology. ExxonMobil, Shell Canada, Imperial Oil and other consortium partners have the exploration rights in the area. Environmental groups say the Bill designating the island as protected is not perfect because it allows for potential future development in and around the island. In stark contrast to the status of the Sable Island horses, Alberta’s government announced in January it would give out licences to capture 200 of the free-roaming wild horses. There are no restrictions on what may be done with them either – while some could be domesticated, trained and sold to private homes, any others, including pregnant mares, older horses, and infirm horses, can be sold to slaughter. 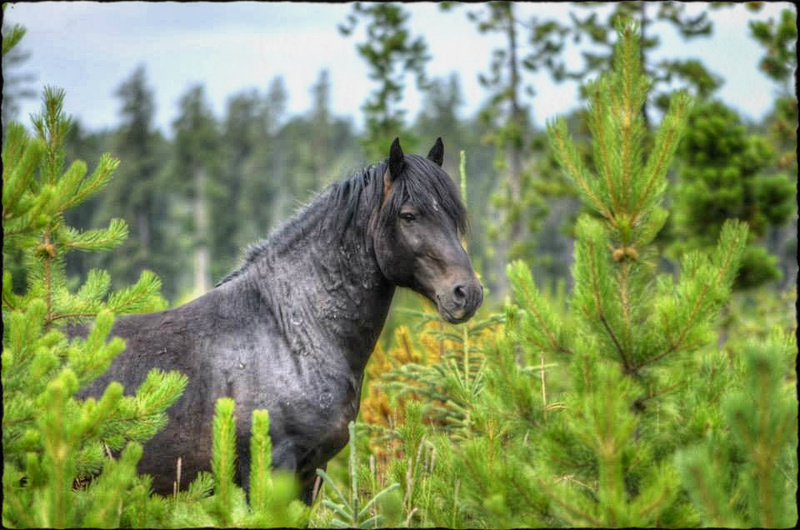 According to the Ministry of Alberta Environment and Sustainable Resource Development, there are too many horses in the area, and they are competing for resources with cattle (a non-native species) and wildlife. These wild horses inhabit crown land territory of 23,000 km2. That is one horse for every 23 km2. This is very low density. The committee that made this decision included groups with a conflict of interest such as cattle ranchers (one of whom was issued a permit to capture horses), OHV (off-highway vehicle users) and the forestry industry. In addition to pressure by industry, there is also an historical sense of entitlement by certain groups, including hunters, trappers, rodeo suppliers, and outfitters. These groups all claim that roughly 900 or fewer horses have somehow decreased the population of deer and elk. All claim these “feral” horses threaten their use/exploitation of the land and its resources. The Conservative government of Alberta, formerly under Alison Redford, has close ties to the most powerful stake holders, oil and gas, the beef industry and forestry. 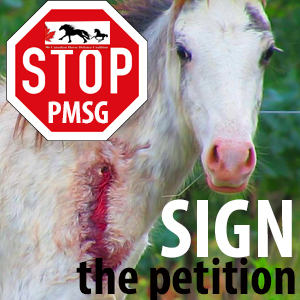 A scientifically valid headcount of the horses has not been done since March 2013, before the flooding last June, and before the heavy snowfall this winter, both of which are believed by horse advocacy groups in the area to have taken a toll on the herd’s numbers. Despite not possessing an accurate count of the horses, the PC government insisted on moving ahead with the cull without a clear objective or enough scientific data to support it. Therefore, the government has operated blindly using misinformation to justify their actions. Various talking heads in government capacities also bizarrely claim that the wild horses have no known predators. There is absolutely no science behind any of their claims of rangeland degradation by the horses. It is a fact that domestic livestock grazing reduces wildlife populations by competing for food, water, and space, and degrading habitat. Habitat degradation caused by grazing also exposes prey species to increased predation (due to lost vegetative cover for concealment and escape), resulting in further declines in those populations. The vast majority of forage and water resources in the West are devoted to domestic livestock grazing. to disturb them. Now the future of Sable Island and the Station is in question, and the Canadian government is considering various options – one of which is to close the Station, thus ending 200 years of full-time human presence and stewardship. This option, combined with the encroachment of companies who are interested in oil and natural gas exploration would put not only the horses, but all the island’s flora and fauna at serious risk. You can be sure if gas or oil could be easily extracted from Sable Island, or the grass growing on the island was found to be of benefit to cattle grazing, then all of a sudden there would be too many horses on the island and a “management” plan would have to be implemented. Glitter on the toes cannot hide the fact that this Atlanta carriage horse is very underweight. Recently, CONA (Carriage Operators of North America) which is supposed to be a professional organization for carriage operators, held their 2014 convention in Atlanta, Georgia. CONA represents the interests of both special events livery operations as well as the hackline carriages in NYC and elsewhere, although now with two NYC Board of Directors, it would seem that the group’s interest is evolving more towards hackline operations. Both Nottingham Shire & Carriage and Fantasy Carriage of Atlanta run curbside operations waiting for fares in downtown Atlanta. Neither carriage operator’s website depicts what the horse and carriage accommodations really look like, and the Fantasy Carriage website doesn’t even show a pic of a single horse. There’s a good reason for that. 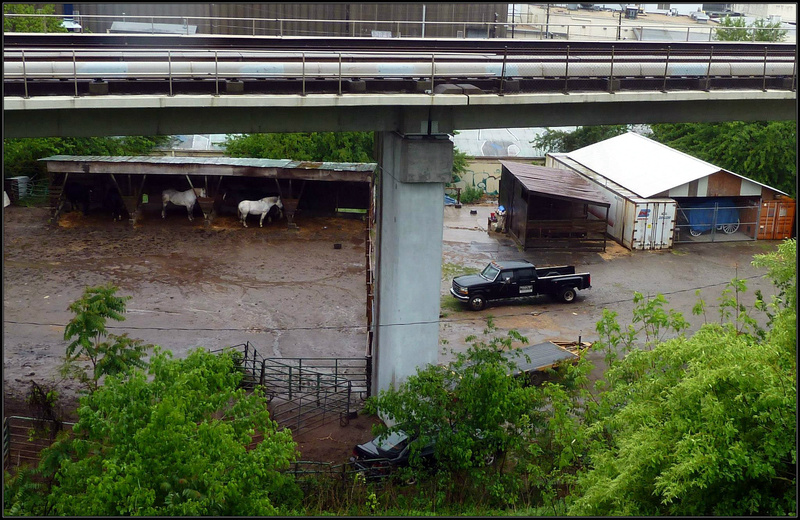 Complaints about these two operations include, but aren’t limited to inadequate housing facilities for the equines – terrible windowless dungeon-like accommodations or run-in sheds only, as well as…. The back of Fantasy Carriage Stables. Not exactly taken from a page in Martha Stewart Weddings. Nottingham Carriages Stable after a rain. The carriage storage area is far superior to the area where the horses have to live, which is only a run-in shed. Note the raised railway or interstate. I’m sure they must have fixed it up since the CONA people were going to tour the place – but I guess this is what it looks like when visitors are not expected. By law, for the care of these horses to comply with the definition of “humane care” they must be provided with shelter from the elements. What is a member of the police force doing advising a private group how to handle lawful protesters and possibly, avoid the law? And why not counsel these two members of CONA in raising the standards of living for their animals and putting some decent weight on many of them? Voluntarily fixing a lot of these issues would mean fewer complaints from animal activists, would it not? Aside from being an all-around bad idea, Burse’s talk appears to be a rather problematic conflict of interest. His impartiality and the impartiality of his department now becomes suspect. In a worse-case scenario, conflict can become misconduct. Burse holds a position where he may be required to mete out criticism or enforcement to carriage owners, which apparently hardly anyone ever does, because those charged with enforcing the laws are either unwilling or unable to recognize violations or health/lameness issues with horses. Judging by the agenda description alone, Burse’s little talk does not appear to be any sort of “conflict resolution” themed presentation, but one of dealing with people who make justifiable criticisms of their industry. The Atlanta Police do have a code of ethics where they are expected to disclose incompatible interests, even though it is better not to allow such conflicts to present themselves in the first place. Overall, there seems to be a disturbing amount of confusion as to who has the responsibility of enforcing the ordinances relating to the horse drawn carriages. On multiple occasions, officers of the Atlanta Police Department have ignored or refused to respond to calls if the subject of the call was the horse drawn carriages. The Department of Taxicabs and Vehicles for Hire does not staff an officer at all times the carriages are in operation. 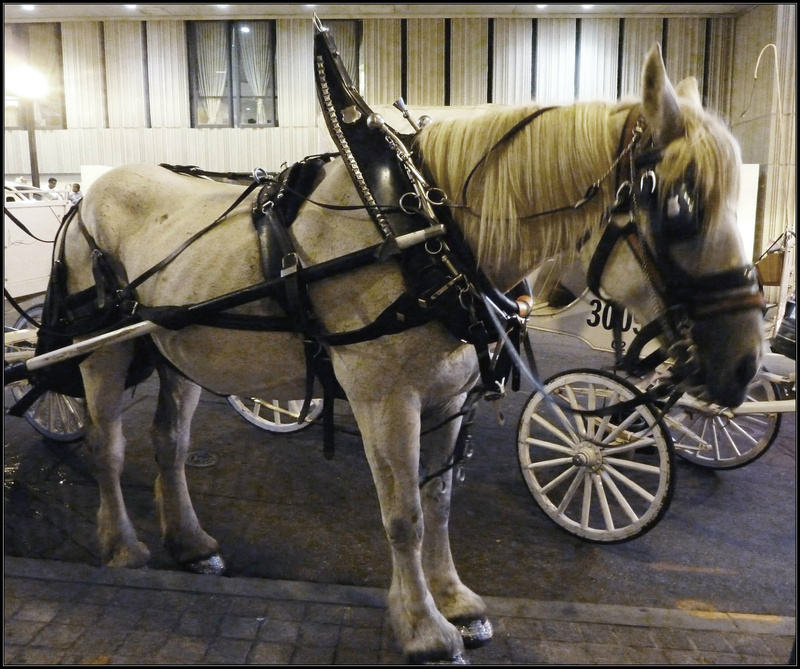 On occasions when someone from that department has responded, officers have stated they are not comfortable issuing citations to the carriage drivers because they lack sufficient training and/or knowledge to enforce the ordinances as it relates to equines and/or the equine drawn vehicles. The issue of enforcement for infractions has been a longstanding problem for Atlanta’s urban horses. Naturally, all public sector officials have a duty to put the public interest above their own personal or private interests when carrying out their official duties. They cannot put the interests or individuals or groups ahead of that of the community, or in the case of Atlanta carriage horses – the animals themselves. If officials have conflicts that are unavoidable, they need to be totally up-front about those conflicts, be they financial, ideological, or personal. Even the appearance alone of a conflict is detrimental to law enforcement activities. Seriously underweight Atlanta carriage horse – needs about 150 lbs at least. Why is this horse being allowed to work? I don’t mind the glitter myself, but the feet are terrible, trimmed way too short – hardly any good hoof wall left to attach the nails. This horse looks like he/she needs time off to grow the feet out and have a few good trims by somebody who knows what they’re doing. Can you say mechanical founder? The horses of Fantasy Stables in Atlanta live in this windowless building. Was this former warehouse a relic of the civil war? 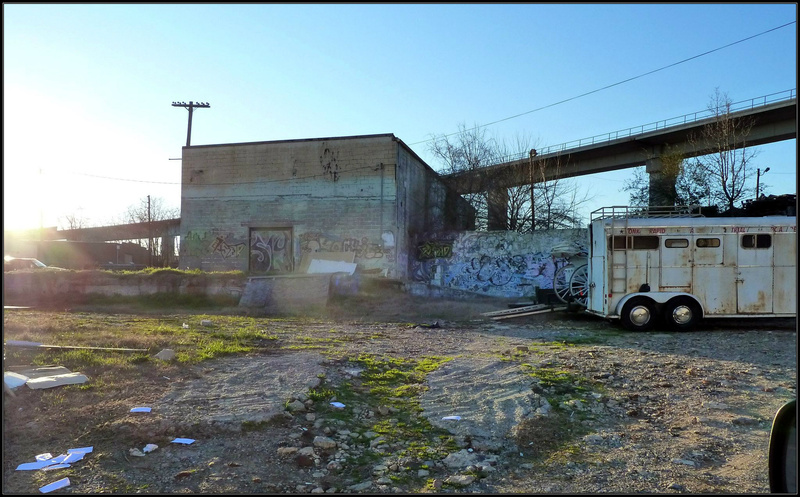 The concrete warehouse was not designed to house animals and has no ventilation and no natural light. Georgia on my mind, and not in a good way……. This horse is underweight and purported to be lame. That might explain the rear boots, but doesn’t explain why they are incorrectly fit if they are intended to provide support. Judging on the inward-facing curve of this hole, it looks like someone was trying to get in. But the horses surely would like to get out. Let’s face it, Schindler’s List would not have been the same calibre movie with say, Kevin Costner in the lead role. Liam Neeson is a commanding presence and a great actor. But I’m not feelin’ it for Mr. Neeson any longer, and don’t see myself watching any more of his movies. Truthfully, I think he’s a bit of a doofus. 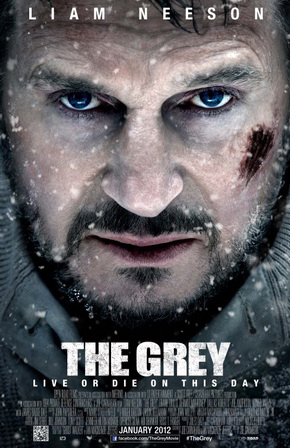 Neeson fell out of favour with me starting with his role preparation for the movie “The Grey,” filmed in Canada with British Columbia subbing in for Alaska. While other actors may prepare for a role in harsh climate or conditions by showering every day for 10 minutes in a cold shower, Neeson prepped for role immersion by eating the meat of a trapped wolf. At a press conference to promote the movie, Neeson, who was born in County Antrim, said that while some cast members had been sick after eating the wolf meat, he was not fazed by the experience. “I’m Irish, so I’m used to odd stews,” was his attempt at explanation. In January 2012, British Columbia’s The Province featured an article about the movie’s buying four wolf carcasses from a local trapper, two for props for the movie and two wolves for the cast to eat. Naturally, this act angered environmentalists and animal activists, who were already irate that the movie depicted wolves in a negative light, specifically at a time when gray wolves had recently been removed from the Endangered Species Act in many western American states. But Sarah Palin gives it five stars! Both the film’s director and Neeson knew, or should have known, that leghold traps are one of the worst ways to kill an animal. Most animals caught in these traps end up chewing, or nearly chewing off their ensnared limbs in order to escape. Miscellaneous species of animals, caught in traps intended for fur-bearing targets are killed and then discarded because of their lack of value. I think leghold traps should be illegal everywhere due to the suffering inflicted, so the ensuing criticism that was heaped on both men was perfectly valid, IMO. Fast forward to 2014, Neeson has become the unofficial and much vaunted (hat tip to Glen) spokesperson for the NYC carriage trade, whose existence is threatened by Mayor DeBlasio’s edict to remove the carriage operators from New York City. His ad-hoc discussion of the urban carriage trade wasn’t exactly endorsed by Jon Stewart, host of The Daily Show, where Neeson appeared earlier this week. Interjecting the issue of the carriage horses was a risk that didn’t quite pay off for Neeson since Stewart rejected his position. SPCA workers in Offaly spent around eight hours trying to save a horse that became trapped in a drain. The horse was rescued from the water but was extemely weak and suffered from hypothermia. 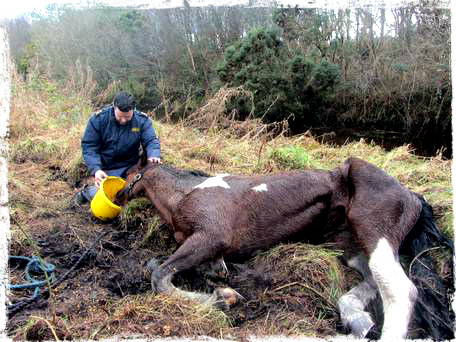 ISPCA fought to save the horse, which initially looked as though it could be successful. Veterinary first aid was given and the horse was dried off and kept warm, even eating some food. While the animal made attempts to get to her feet, she soon weakened and was euthanized. NEESON: He won’t even take a meeting with the horse carriage industry. He is supposed to be representing the New York people. STEWART: Is this a job you’ve done? Have you been in that industry before? NEESON: I know a couple of the guys. I’ve been in the stables quite a few times eating. STEWART: Well, we don’t know. NEESON: They are. They’re trained for this. 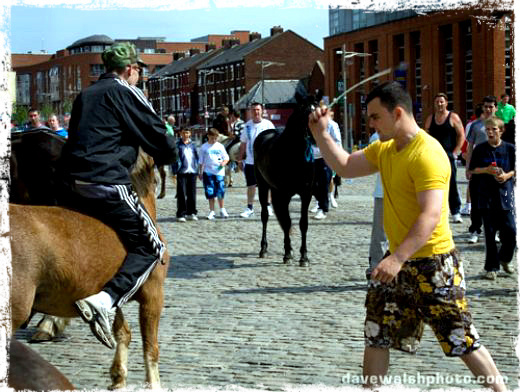 The Smithfield Horse market is extremely controversial. City council and various animal welfare organizations have campaigned tirelessly to shut the market down for abuses to animals. Traders and buyers have continued using the cobbled area once a month to sell their animals and prices as low as 10 Euros – around seven dollars.An ancient by-law giving traders the right to use the market means that there is little police or council officials can do to remove the horses. “The guys,” as Neeson puts it, are the drivers, many of them transplanted Irishmen like himself. This includes Colm McKeever, a native of County Meath and a friend of Liam’s, who met the actor when McKeever’s wife served as midwife in the birth of the actor’s first son. “They’ll die, you know, darlin,’ says Liam, of the NYC carriage horses. “The horses are incredibly well-treated. They’re regulated up the wazoo. They get five weeks’ holiday every year. Tourists love them.” Along with former Mayor Bloomberg, Neeson also perpetuates the opinion that they’ll all be slaughtered too, and it’ll be the fault of meddling big city liberals, according to him. 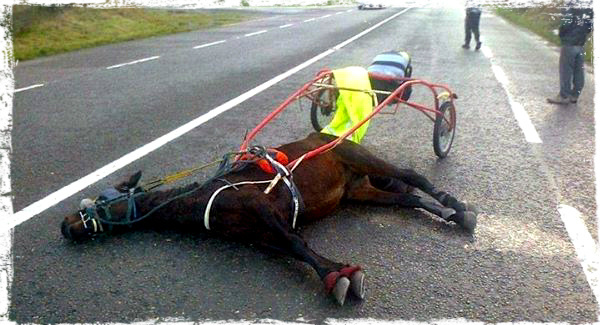 I hope Neeson will somehow find a way to highlight the fate of horses in Ireland and elsewhere in Great Britain, where it’s popular to race horses on the commuter highways and evade the garda (police), often crashing the horses and abandoning them, injured. Ireland also has an ongoing problem with fly-grazing, where horses are illegally grazed on private property without the knowledge or consent of the owners of the property. 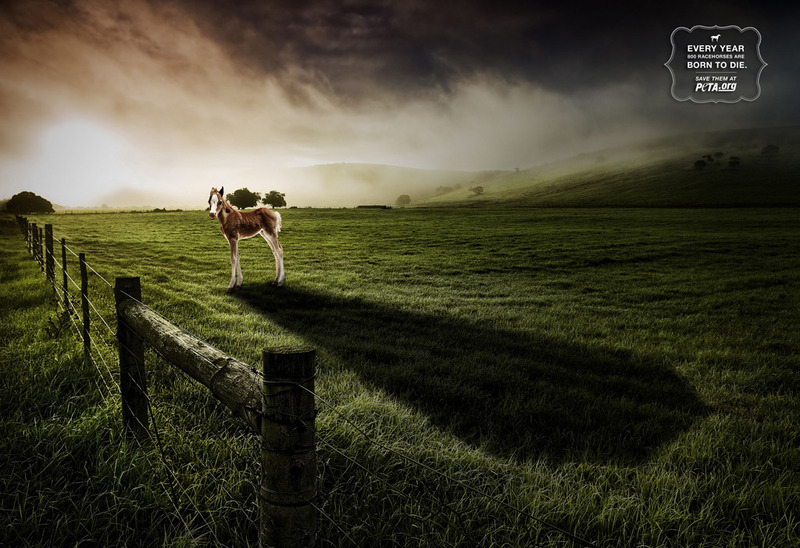 I realize that the incidents of cruelty depicted here can and do happen everywhere, but Ireland, which has the highest horse population per capita in the whole of Europe, has a huge crisis of horses, with up to 20,000 of the animals currently needing immediate intervention by authorities for abuse and cruelty. 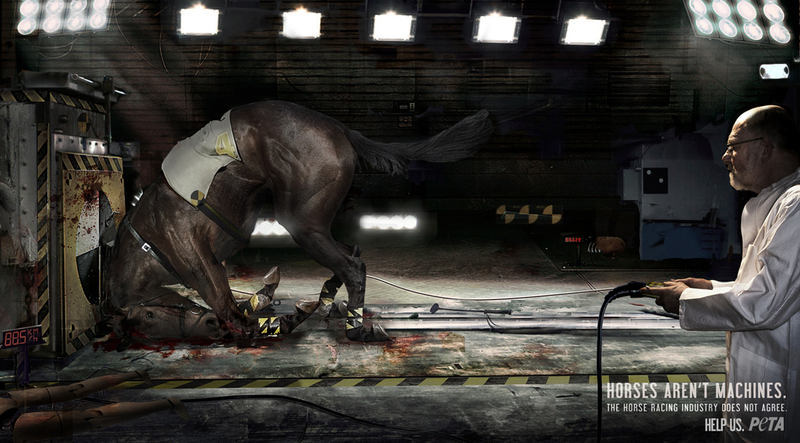 Unlike Neeson, the horses are not actors and can’t walk away from these situations. Every animal welfare charity in the country would probably say that Ireland is unique in terms of the volume of abandoned horses all over the country. Although there are no official figures, animal charities estimate that up to 20,000 horses could be owner-less and fending for themselves. So it’s a good litmus test of what’s happening elsewhere in the EU, especially as concerns large, expensive-to-keep animals such as horses, who might be the most disadvantaged four-legged victims of Ireland’s recession. Bought as trophy-pets during the Celtic Tiger boom years, homeless horses now run wild in their thousands across the Republic, most abandoned by owners who have no money for their upkeep. A total of 2,969 stray animals were seized in 2012 of which 72% were euthanised. 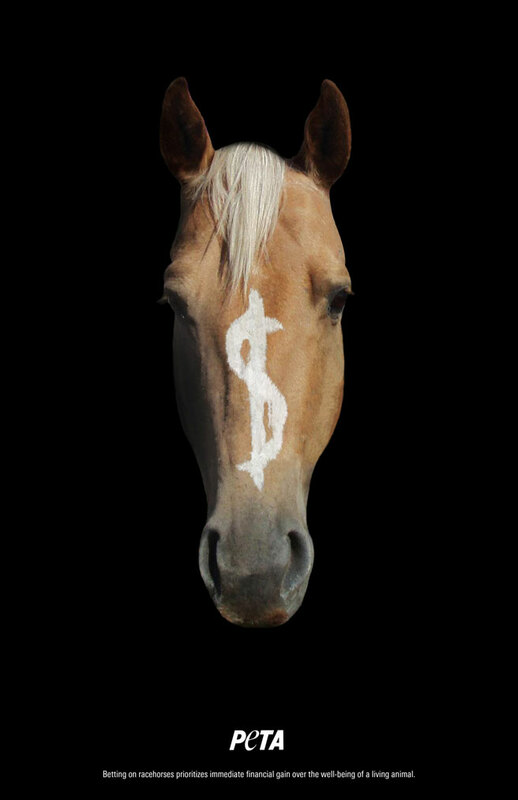 In contrast, 2,936 horses were seized in 2011 and 54% were slaughtered. There are reportedly 3,000 horses in Dublin alone who need urgent care. The horse was one of eight being unloaded into a field (probably for flygrazing) when she refused to co-operate. After repeatedly trying to coax the mare out of the box, a group of men got extremely violent with her, said a spokeswoman for the Irish Horse and Welfare Trust. She said: “When it refused to get out, the car drove off which sent the horse shooting out the back and it collapsed on the road. They then beat it to get up and it was beaten quite badly because it was so distressed it wasn’t able to get up.” Here the poor foal stands over its mother, his or her own fate looking very bleak. 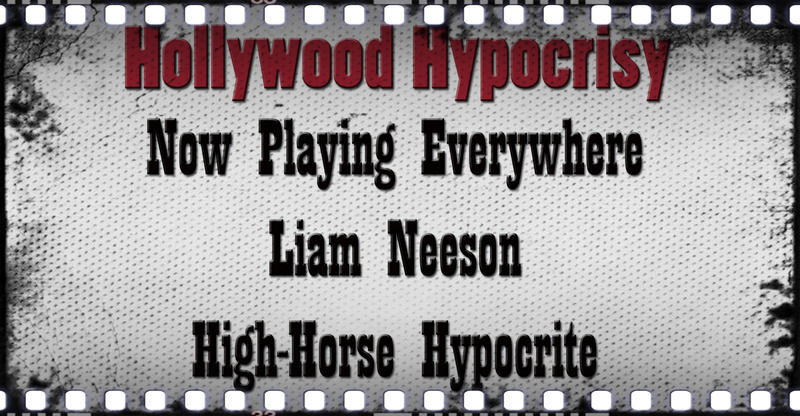 So why is Neeson seemingly unconcerned about these horses being abused, neglected, and slaughtered? Does he do anything at all to expose this crisis? Sure, he’s not obligated to do so, but it’s not like the horse industry couldn’t use his help as a spokesperson. 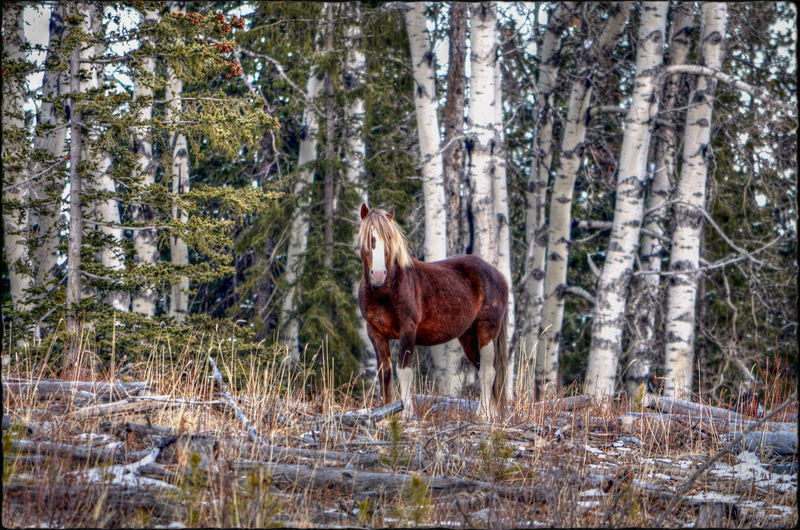 Canadian singer/songwriter Jann Arden is speaking out on behalf of Canada’s wild horses. The Irish Farmers’ Association has been calling on the Government to introduce a scheme to provide financial assistance to horse owners to tackle the growing problem of unwanted horses. Maybe Neeson should advocating on behalf of these horses? I imagine someone his stature could lend a credible voice to these concerns, as Jann Arden is trying to do for Canadian horses. So why does he speak up for horses who, according to the industry, are loved and would never be slaughtered, whilst ignoring horses who ARE being slaughtered in his native country? A potential explanation turned up on the Tuesday’s Horse blog, the official blog of the Horse Fund. 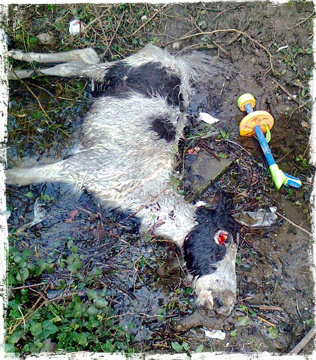 This horse was mown down by a quad bike and reportedly beaten to death with a wooden plank in a council estate. The garda tried to intervene, but were deterred by locals throwing bottles at them. Anyone else think the garda are the most ineffective police force anywhere? How bad can it be for animals who live here when the police are too afraid to intervene on their behalf? But her comment was met with disdain when urban carriage supporters retaliated by questioning the status of the charity behind the blog by asking about the status of The Horse Fund’s 990s. Of course, this is a common tactic of Humanwatchers and their ilk, when someone writes something they don’t like – they set about attacking the credentials or status of their charity. 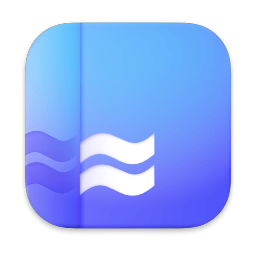 They start poking through Guidestar and see if they can dig up any dirt on the person making the “inflammatory” post. And Ms. Farrell no sooner wrote those words making a comparison to Mexican rodeos than the quintessential horse tripper himself, Randy Janssen made an appearance to support urban carriages, denounce the ASPCA, and promote horse tripping on a different site. Ms. Farrell is not only wise, but she’s psychic! And that about rounds out the support for the NYC urban carriages – Humanewatchers, the Cavalry Group, United Horsemen, and now eaters of wolves and charreadors! I try not to take offence at the politics in movies, and I don’t really care that much whether James T. Kirk was inspired by John F. Kennedy or whether Zero Dark Thirty fails to point out that torture is immoral. I don’t think we need political correctness in movies or television, because they often portray periods where societal attitudes or government policy were controversial. So, it doesn’t bother me that Neeson has taken a stance in favour of urban NYC Carriages, only that while doing so, he has seemingly ignored the chaos in the country of his birth. He apparently does so out of allegiance to the Irish, rather than casting a critical lens on the industry. Would he speak out if the drivers were predominately Serbian or Italian? I don’t know, but I rather doubt it. But the next time he’s in town and hanging with his buddies on 59th street, perhaps he can get in-character by eating some oats that have been spilled out into the street amongst the pigeon droppings, just for authenticity’s sake of course. And next time Neeson comes to Canada, instead of eating an inhumanely trapped wild animal, I hope he would speak out for them instead. 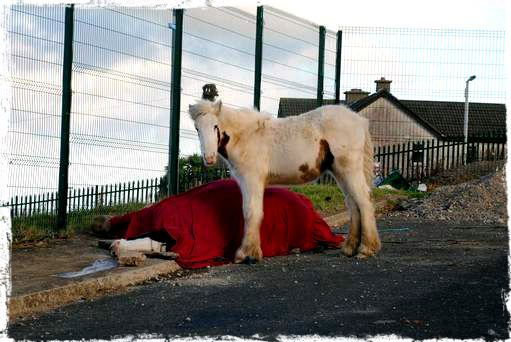 Irish horse, was raced in a sulky, crashed into a stationary vehicle and sustained a broken neck. This is the vehicle the horse crashed into.